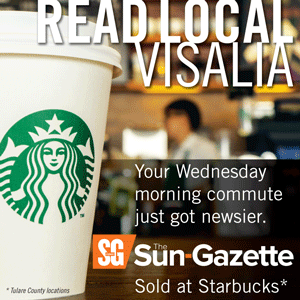 VISALIA – The next Starbucks in Visalia is ready to open on the city’s east side after getting a drive-thru approval by the city’s Planning Commission. On July 23, the Planning Commission unanimously approved a conditional use permit for the Starbucks being built in the Mary’s Vineyard shopping center at the corner of Noble Avenue and Ben Maddox Way. The 4-0 decision took less than 10 minutes to reach but brought up an interesting tidbit about city ordinances regarding drive-thrus. Drive-thrus didn’t typically require a conditional use permit until new standards were approved by the city in 2014. Under the municipal code, drive-thrus now require a permit unless they can meet six criteria. Drive-thrus must: 1) be 250 feet from the nearest residence; 2) accommodate 10 vehicles in the lane; 3) not obstruct any drive aisles or entrances and exits from a local roadway; 4) not create excessive noise from 7 p.m. to 6 a.m.; 5) be screened from an adjacent street with a berm, hedge or wall at least 3 feet tall; 6) have menu signs that face away from an adjacent public street. Starbucks’ drive-thru failed to meet the last requirement because its drive-thru menu boards are facing Ben Maddox, but staff noted similar menu boards were commonly approved before 2014 and are consistent with other drive-thrus in the shopping center and area. 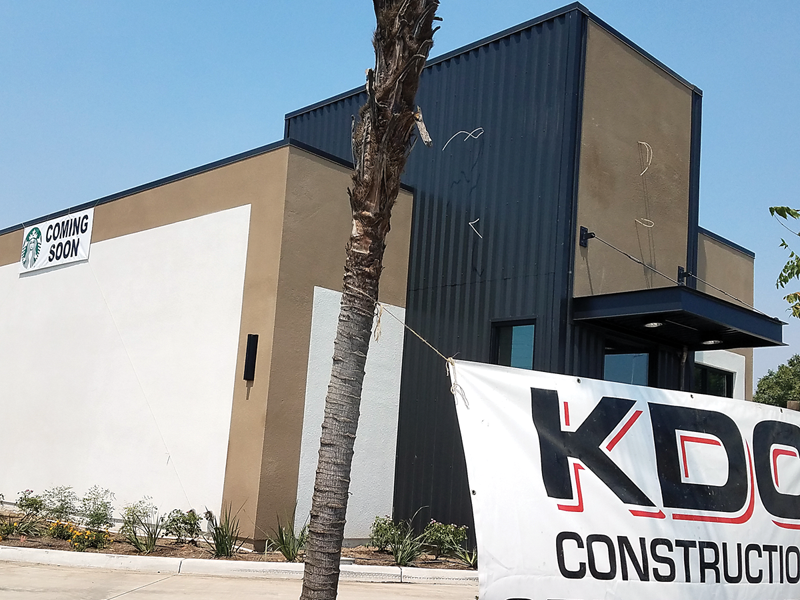 The Starbucks will be 1,670 square feet with stucco finish, faux wood trim and metal awnings, similar to other refurbished restaurant pads within the shopping center. The site was formally a drive-up, stand-alone ATM which was approved in 1996. Including coffee shops in the Visalia Mall and Target on Dinuba Boulevard, Starbucks currently operates nine locations in Visalia. The Mary’s Vineyard location opening comes days after Starbucks announced a successful third quarter in which the company opened 511 new stores and now operates 28,720 stores. Prior to the drive-thru approval, the Planning Commission reorganized. Brett Taylor will remain as chair of the commission and Liz Wynn will remain as vice chair. The other commissioners are Marvin Hansen, Chris Gomez and Sarrah Peariso, who was absent at the July 23 meeting.